Productive and PEST resistant Selection Available fall of 2019. Specifically selected for the highest disease and insect resistance. Plants are completely immune to filbert blight and have no damage with twig girdlers or bud mite both of which destroy flowering. Blue jays cannot get to the nuts easily as they are lodged deeply into the husk which eventually turns brown and the nuts drop freely. 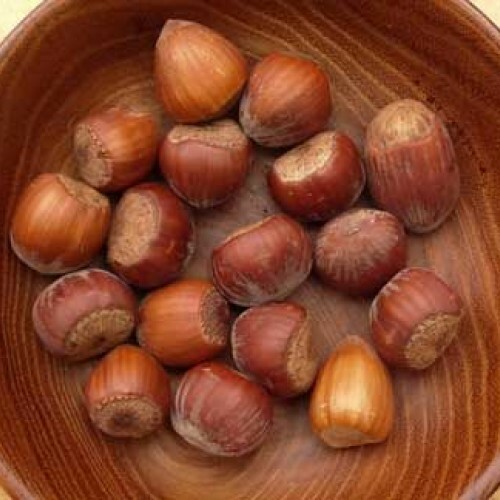 Nuts are produced densely along the stem making the plant a highly efficient yielder. This specific seed selection originated from the heritage planting of the 1900's Gellatly types and later crossed at our farm in the midst of much disease to other American types. Compact plants grow 5-10 ft. across with equal width.Fruiting begins once the plants reach 4-6 ft. tall. in 3-6 years. No shipping to WA, OR. Self infertile. Need two plants of the same type or another Precocious or American. Does well in slightly acidic sandy loam or loam. Not too particular but does benefit from a layer or rich organic material if you planting in sand. Zone 3-8. Better in cool areas. Easy to grow and fruit. 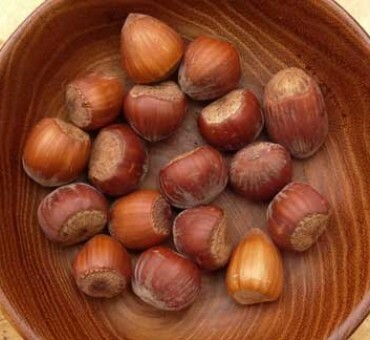 Can hand harvest the nuts fairly easy and let them dry indoors and they easily fall out of the husk. Fruiting begins once you see the catkins or the year after. Plants are then 4-6 ft. tall.